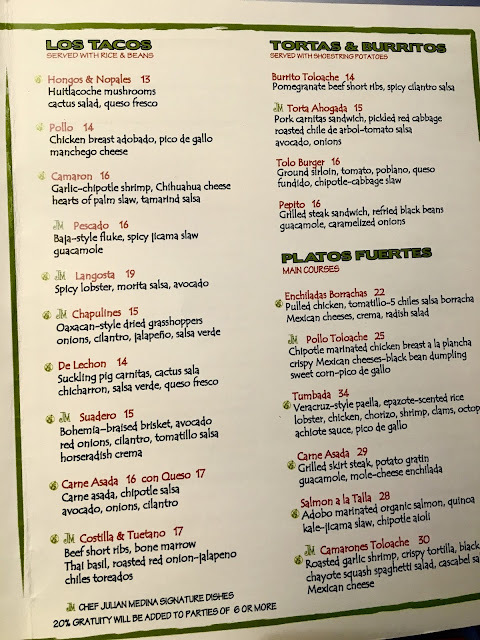 The menu itself is easy to navigate, with a handy symbol printed on the menu announcing gluten-free items. Dairy is pretty easy to avoid also, with cheeses, sour cream and other obvious offenders easily left off dishes. I ended up ordering the pollo tacos, sans cheese. They were single-wrapped in a corn tortilla, and topped simply with pico de gallo. The chicken was tender, and seasoned generously, not heated but with ample spice. The pico was fresh and flavorful, clearly homemade. Although simple, the tacos needed no further toppings, and were definitely a hit with me. They were memorable- which is saying a lot because tacos are among my favorite gluten-free go-to eats. The tacos came with a side of black beans and rice, also with cheese withheld. I am not a huge beans and rice fan but these were good. 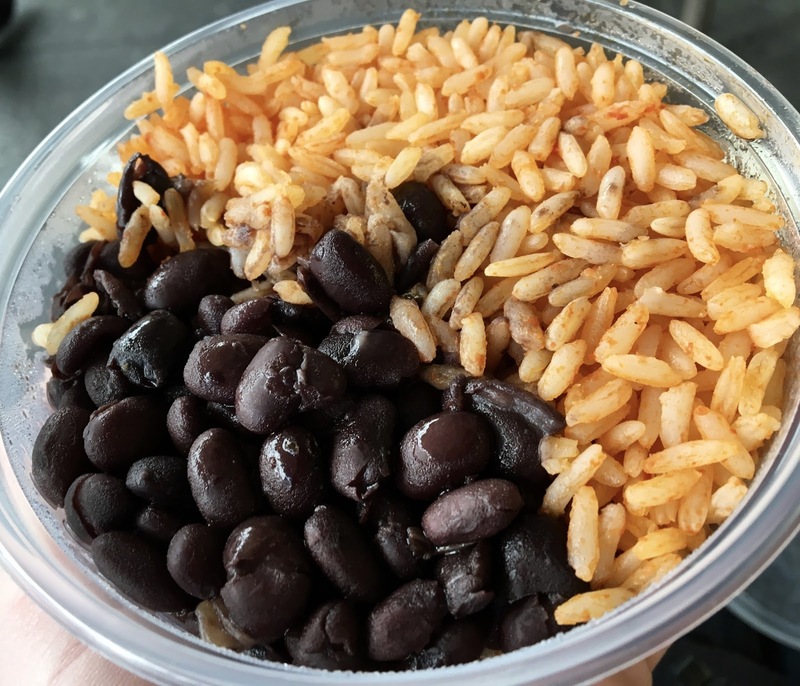 The rice wasn't dry and had nice flavor and the beans were seasoned well too. Nothing spectacular, but I polished them off easily. 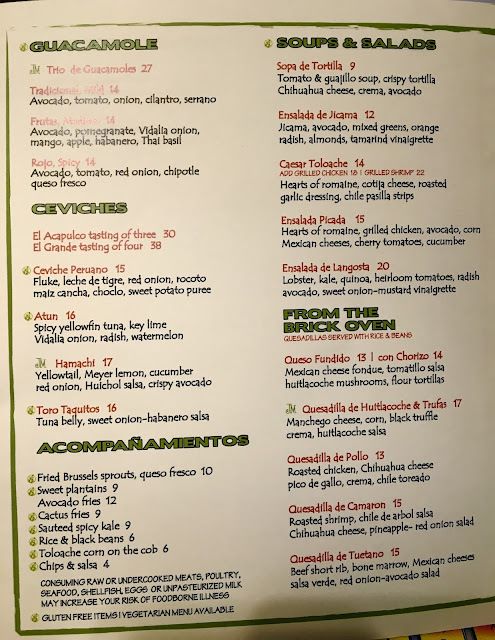 Although I had to enjoy Toloache's cuisine in takeout fashion, it was a good teaser for a Toloache visit yet-to-come on a future New York visit. 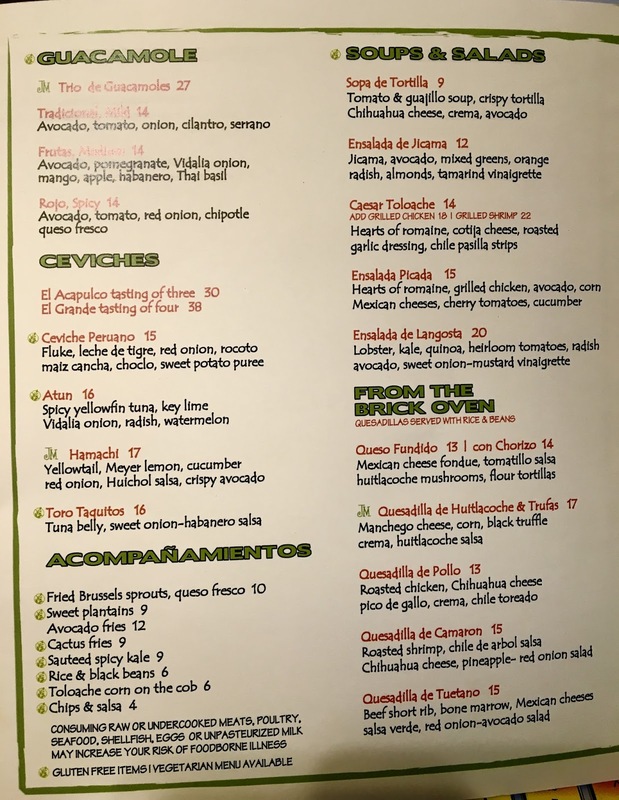 The food was good, the staff were knowledgeable, and the location perfect- not too touristy but not far from the action of Times Square. Accessibility: Wheelchair accessible, restaurant seating is tight though.